I do a little bit of everything, with the common thread being either the words “digital” or “communications.” I oversee the SOM websites and social media accounts, produce our quarterly newsletter, assist my colleagues in Strategic Initiatives in event management, some media relations, photos, videos, and of course “other duties as assigned.” Basically anything to support the mission of the School of Medicine. What about working at UCR motivates you? I am a graduate of the University of California, Santa Barbara (’92) and I joke that I went to college in 1987 and never left. My first full time job was as the night production manager at the UCSB Daily Nexus, and apart from three brutal months as a technical writer at a company that made tissue implants and some part-time work in journalism, my entire work career has been spent in higher education, albeit in several different jobs. I have chosen to stay here at UCR because I like it. I like the campus, I like the people. I like the fact that we are a bit of an “underdog.” I like the weather nine months out of the year. I enjoy working with our students. 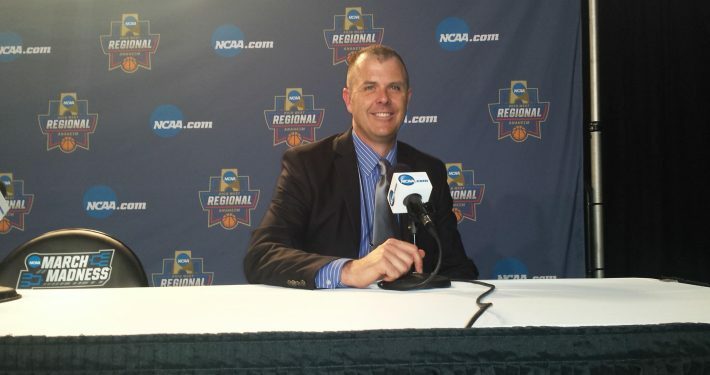 I am grateful for the opportunities I have had to help build programs and organizations here – whether it was as the director of media relations for the UCR Athletics Department as it moved to Division I, as the web content manager in Strategic Communications helping to build new websites, or part of the team here at the relatively new UCR School of Medicine. What advice would you give to staff? This probably won’t be much of a surprise: my advice to staff is that they need to get away from their desks a bit more and get out and communicate with their colleagues. The UC tends to be compartmentalized, both on a small and large scale. The only way to break down those silos is to start talking to one another. 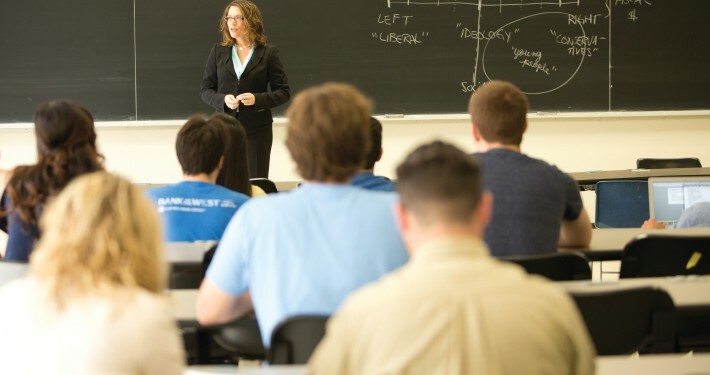 I have learned so much from my colleagues simply because I have had the opportunity to interact with them, whether it is attending Staff Assembly meetings, professional development events, or simply walking around the campus and chatting with people. This builds both professional relationships and friendships. Now days, if I do come up against a particular challenge, there is a good chance that I can pick up the phone or send an email to a colleague who is going to be able, and willing, to help me out. I must add that I have been very fortunate to have supervisors who were, and are, secure enough as leaders to understand the benefits of this communication. I realize that some folks aren’t as fortunate. I would encourage supervisors to take a long look at their managerial strategies and ask themselves if a rigid work environment is really the best long-term option for their organization’s success. What outside interest do you have? First and foremost I enjoy spending time with my wife, Christine, and our two Siberian Huskies, Lexi and Loki. I love listening to music by bands that you have probably never heard of, and my tastes include punk, ska, American folk and British roots, and a bunch of celtic-inspired things. I am a big sports fan, rooting for the Chicago Cubs in baseball and the Los Angeles Kings in hockey. I want to encourage people to participate in their Staff Assembly boards and committees. The organization is a great way to expand your skill set and could help you to that next promotion or set you on a path to a new career. My two years as communications director were very fulfilling personally, and absolutely helped me get the job I have today by allowing me to demonstrate that I had the skills that the UCR School of Medicine was seeking. 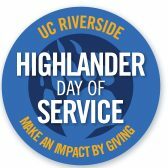 Highlander Day of Service pays homage to UC Riverside’s national recognition as a leader in community service. In 2015, the inaugural year, over 500 participants registered for 25 projects throughout California. Society ’54 is made up of staff members who have chosen to support the activities and programs of the UC Riverside Staff Assembly. Staff Assembly is only partially funded by the university and relies on fundraising efforts and donations to cover expenses. 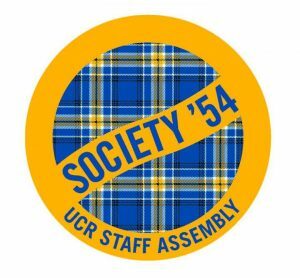 Society ’54 is one of the major ways that UCR Staff Assembly is able to fund annual activities.